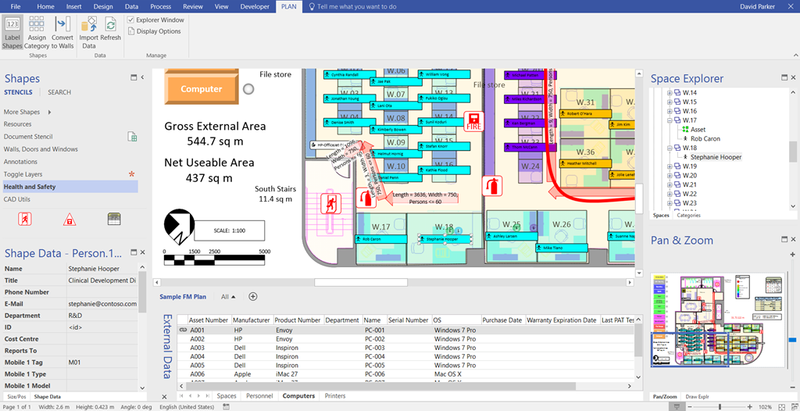 Today I demonstrated how Visio could be used for Facilities Management. I covered CAD integration, space chargeback, personnel and asset locations, and finished off with fire escape routes and equip. You can register for see the recording, and get the pdf of the slide deck, at https://vts.inxpo.com/Launch/QReg.htm?ShowKey=27721 .